...Hi-Tech Cities - Gary Ling, Digital Producer, Data Monetiser, Political Savant, Information Economist, Solution Seller, Business Strategist. With its sub-optimal education production in mathematics and a national investment allocation skewed towards the south, how can Britain compete in a global economy where increasingly emerging market competitors are skipping the legacy steps of industrial development (like fixed line comms) and deploying the latest mobile technologies to power payments and eCommerce? Gary Ling, outlines a simple, low-cost strategy that the UK should follow to encourage its inventive domestic entrepreneurs to scale their business ideas globally. Connect up with Gary on LinkedIn here. Update Post 18Mar14 A few of you have asked me why it took so long after completing this article for me to post it below (Written 25Feb14 Posted 10Mar14). This is the reason: I sent a copy of the article to a woman called Sarah Marsh at The Guardian for potential publication. She immediately emailed back with: “Thanks - this looks interesting. Will take a look and get back to you if it's something we can publish Sarah”. About a week later, after a hack friend of mine subbed the piece (“Too many CAPITALS as usual Gary!”), I sent her the new copy. She immediately emailed back with: “Thanks - this looks interesting. Will take a look and get back to you if it's something we can publish Sarah”. Then sometime after, Sarah Marsh called me to feedback that it was OK but that The Guardian wanted me to state how UK local government can really make a difference to 'Tech Cities'. I must say that I thought she was either winding me up or having a laugh. As a free marketer and former councillor, I never thought that I would submit anything to 'The Grauniad'. As a past press officer for the Conservative Party I should have known better. Already in the piece below I was recommending more money for councils to ‘Twin’ with overseas tech cities and that government funds should be used - through the Technology Strategy Board (which she had never heard of!) - to fund entrepreneurs overseas trips! This was, for me, already verging on Commie territory! In case you don't get it from reading it, this article is supposed to scream: "It's NOT about the damn GOVERNMENT(s), Stupid!" (there's those pesky CAPS again). Anyway, I politely asked her to send the points she wanted me to make in any amended article in an email. Haven't heard from her since. Written 25Feb14 Posted 10Mar14. Over the past weeks I have witnessed how three cities, two in the UK, the other in India, are set up to help digital business achieve successful commercial scale. This is a tale that has important implications for Britain’s development as a modern digital economy. Although all three are described as tech cities, how they are constituted and supported by their respective governments and the value that they add to their local economies is very different. 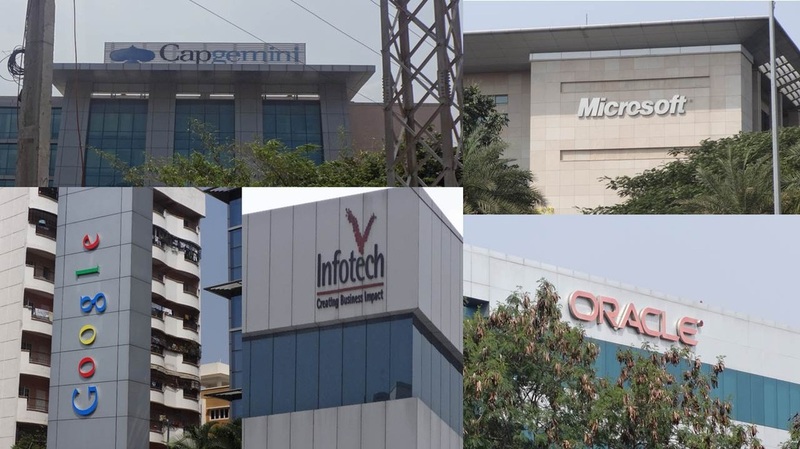 Hyderabad is a second tier Indian IT city after the likes of first-tier Bangalore and it is soon to be the capital of the new Indian state of Telangana, created out of the southern state of Andhra Pradesh. It’s a bustling city ravaged by democratic political intrigue and dust from constant building on a vast scale. It also hosts a sizeable presence of some of the tech world’s biggest brands: Microsoft, Thomson Reuters, Amazon, Facebook and Infosys. Hyderabad ‘Hi-Tech City’ is described as a major technology township which is at the centre of the information technology industry. By contrast the ‘tech cities’ in East London and the Borough of Croydon aren’t so much characterised by their geography or infrastructure as by disparate ideas exemplified by the context surrounding this tweet from the prime minister at the height of the weather crisis: ‘Great to see the UK's digital community coming together to develop tech solutions to respond to flooding @TechCityUK.’ At the same time the Twitter feed of @TechCityUK, the official government funded quango that supports technology start-ups, was full of photos of a #Floodhack organised “following an emergency meeting at 10 Downing Street” with bone dry coders hunched over their laptops being filmed by television crews seeking to “use Govt data to help UK flood victims”. In reality the information and communications technology agenda, as promoted by government supported @TechCityUK and its volunteer-driven, non-government funded, community based namesake in Croydon, are more akin to a political movement than part of the a co-ordinated digital strategy, like the Government Digital Services’ Digital By Default initiative. 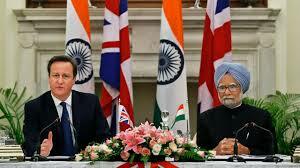 As a result both suffer from not having any serious national economic intent. They appear to exist primarily to inspire, encourage, network and agitate. 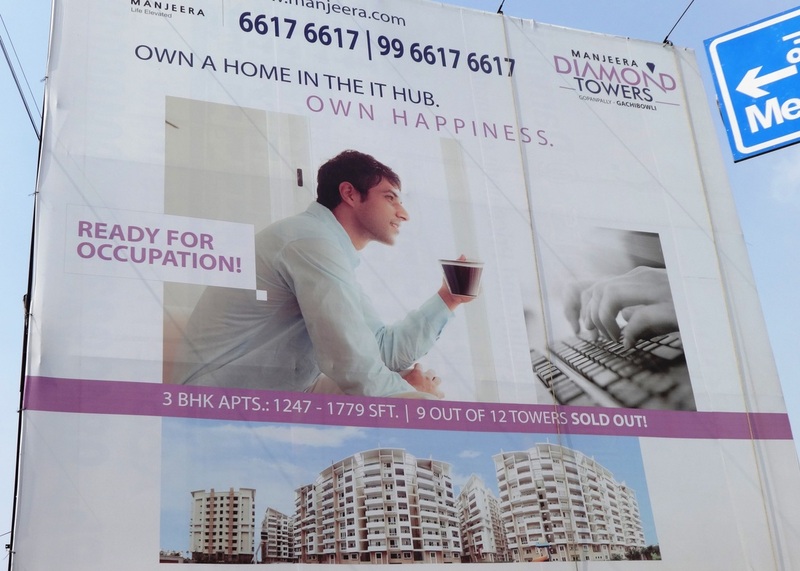 Unlike in Hyderabad, where constant construction and round-the-clock working are emblematic of India’s resurgent economy, the effects of the UK tech city movement are too often short term and opaque, a sugar rush for a politicised digerati in an internet-of-things-always-on virtual bubble. For example, according to the BBC, London Tech City boss Gerard Grech said events such as #Floodhack “force government to be more responsive” and “give up control” of its data. Responsive to what exactly is left unsaid. The needs of tech entrepreneurs? The crisis afflicting residents of the Somerset Levels? Who knows? A few apps selected by a ‘Cabinet Office judging panel’ on the basis of 90 second pitches gets the Prime Minister excited. In the ten years I have been travelling to Hyderabad to oversee software and Big Data projects, that city has morphed from a bumbling provincial municipality with no traffic lights, where passengers had to haul their luggage through the baggage flaps on the carousal at a third world airport, to a thriving metropolis with a first world airport that operates 24 hours a day and is connected the 14 miles to the city centre (with traffic lights) by non-stop elevated road access. Today Hyderabad’s young digital business owners covet commercial scale. They are just as likely to arrive on the doorstep of a UK software prospect (for an appointment booked by a Hyderabad sales team working through the night to accommodate US and UK time zones) and propose a revenue share or equity stake partnership deal to promote growth as they would a straight payment for hours one. Most of these IT shops employ more than 100 people and the D-Gens who own and manage them are focused on making money and Donald Trump’s ‘The Art of the Deal’. Ironically, in high tech Hyderabad, paper still plays and in bookshops business and self-improvement books are piled high and make the bestseller list. Nothing might personify the national economic intent of India’s structural reforms, engineering and maths education focus and tech cities’ strategy than the appointment of Hyderabad-born technologist Satya Nadella as chief executive of Microsoft. Born in 1967 Nadella received a bachelor's degree in electrical engineering from Mangalore University and is a forerunner of what is to come for the tech world globally as a result of India’s emergence as critical part of the global ICT supply chain. Hyderabad’s D-Gens now have a new hero to go with the Microsoft campus in the city which is the largest outside of Washington State. In the UK the stories of our tech heroes - from legendary inventor Sir Clive Sinclair to world changing Apple designer Sir Jonathan Ive - highlight the weaknesses of our tech city movement. Sir Clive was a remarkable man who inspired a whole generation of computer professionals but couldn’t scale any of his businesses commercially. This millennium, in order to achieve scale globally, Sir Jonathan took his design skills to the US. For the past 25 years parts of East London and Croydon town centre (full disclosure: I have been contracted with Croydon Council on some digital projects recently) have looked like the South Bronx circa 1970 but with pigeons. In East London, as regeneration gets underway, the tech city movement develops, coordinates, promulgates, revises, amends, interprets and extols its message for “London to be recognised as the best place to imagine, start and grow a business”. 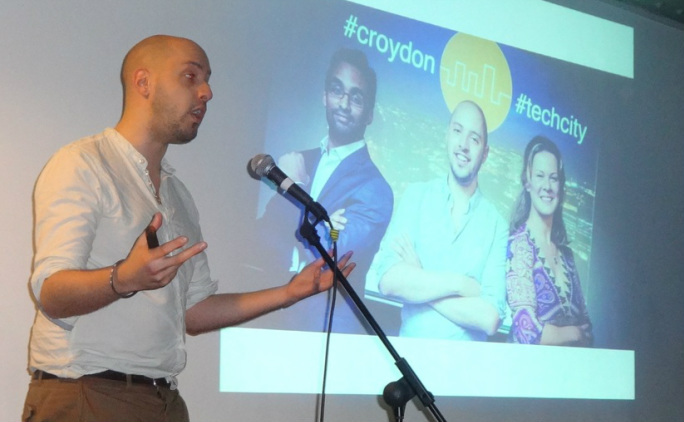 In Croydon the community-based tech city movement of volunteers is inspired by the remarkably energetic Jonny Rose, a self-proclaimed ‘Christian and product evangelist’. One hundred people regularly turn out once a month at borough meetings to talk up Croydon’s revival as the next Silicon Junction. ‘Scalability’ of new internet businesses is a term that features at these meetings where ventures of 20 plus people are considered ‘big’. While overseas growth and international partnerships are not high on the agenda, speakers often claim that they are motivated by something of a higher order than money. The ‘Art of the Deal’ is not a bestseller, though fixing the failing UK education system to inspire a coding instinct and love of technology in young people is promoted, as is networking within the south London locale. In short, Sir Clive’s ethos is alive and well. So where does this leave a role for the UK government in helping Britain’s digital startups achieve the commercial scale to become world beaters? From this tale, helping to connect all these tech cities on both a macro and micro scale is a good place to start. On a micro scale the government needs to encourage relationships that support the UK’s comparative advantage in invention and proposition development. It should also recognise that its efforts to produce school leavers with a penchant for maths is not delivering quantity at a world class level. Importantly, the UK still has a big lead in the entrepreneurial creativity that can help scale, coordinate and power India’s engineering prowess to build companies with great global value. The UK tech city movement needs to focus their efforts on helping their digital businesses make money from operationally scaling this creativity not by attracting PR attention and government subsidy. Despite its poverty numbers India produces hundreds of thousands of engineers and maths graduates each year. Many speak English and are good coders and even with the emergence of new object-oriented programming and agile project management techniques, bulking up developer resource is a key requirement in most attempts to successfully scale and enhance digital properties commercially. However, many of these Indian graduates are not worldly. Their views of world markets are skewed by the prism of entertainment television and they struggle to think outside the box. Here the government needs to help Britain’s startups to link up with tech cities in India so key project management and technical leadership jobs and decisions remain in the UK as our creative entrepreneurs create scale. On his next trip to India the prime minister should take start up entrepreneurs with him and not just industrial titans to network with local Indian entrepreneurs. Competition for places on such a trip should be judged by the Technology Strategy Board which should also fund the places for successful applicants since this quango is not optimising the value of the public money it currently spends. On a macro or infrastructure level local councils in areas where they have tech city movements such as in East London and Croydon should be given central government grants to enable local councillors to create meaningful economic twinning agreements with their Indian counterparts. There are many lessons that the public sectors in both countries can learn from each other. By implementing these low cost, high return policies, the UK government can help the country’s digital economy to scale and compete more effectively with the United States’ world dominating Silicon Valley. To achieve this may create the biggest tale of them all. 1 comment Made...To comment on this Article click Here.